These air conditioning systems require specialized knowledge and tools to properly service. The German Car Depot technicians have the experience, training and specialty tools to diagnose and repair even the most complicated of AC problems. German Car Depot’s in house parts department maintains an inventory of commonly needed air conditioning replacement parts, this ensures the quickest possible turn-around time. Driving in South Florida is usually way more pleasant with air conditioning. 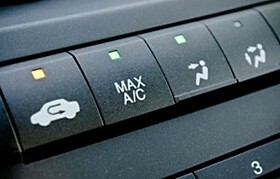 If you drive a VW or Audi, let German Car Depot help keep you cool behind the wheel.